When retirement is supposed to be a special time to enjoy the simple pleasures of life, the last thing you want to worry about is keeping up with your health care costs. 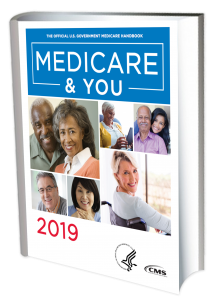 Anyone who has been covered by Medicare knows that, by itself, it's hardly an ideal plan for handling all the expenses you will face, even with good health, throughout your twilight years. Fortunately, there are good options available to you which can provide more comprehensive coverage than Medicare alone. If you're like most seniors, you've already enrolled in Medicare and are receiving those benefits. If you haven't reached age 65 or if you are still working and covered by your employer's private health plan, you will want to start researching your options for when you do retire. Compare-Medicare-Quotes.com specializes in providing you with all the information that you need to make an informed decision about the medicare coverage options available. We also provide you with the capability to view medicare plan comparisons as well as quotes so you can determine the best medicare solution available for you. and make an informed decision when it comes to your healthcare. "When I visited Compare-Medicare-Quotes.com, all the information I needed was at my fingertips to make an informed decision about my coverage." "In just a few seconds, I was able to get quotes from all the top carriers. It couldn't have been easier."